Skateboarding has become very popular today because of its small carbon footprint, its relative ease, and its inexpensiveness. In fact, many people are using skateboarding as an easy and emission-free way to get to and from work. we're going to answer the question, "Where to buy a skateboard for beginners," so that you can have an idea where to get started on your skateboarding journey. Check this post for how to choose skateboard? 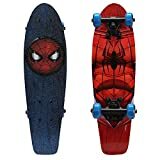 A child is going to have smaller feet than an adult, which means that you are going to need a smaller skateboard if they are going to be able to ride it properly. When a skateboard is too large for a child, their skill suffers, and they may not be as safe on the board as they would be with a board that is designed for their smaller feet. A smaller board is easier for a youngster to handle, so when you purchase a new board for them, you will need to take their height, weight, and age into account. 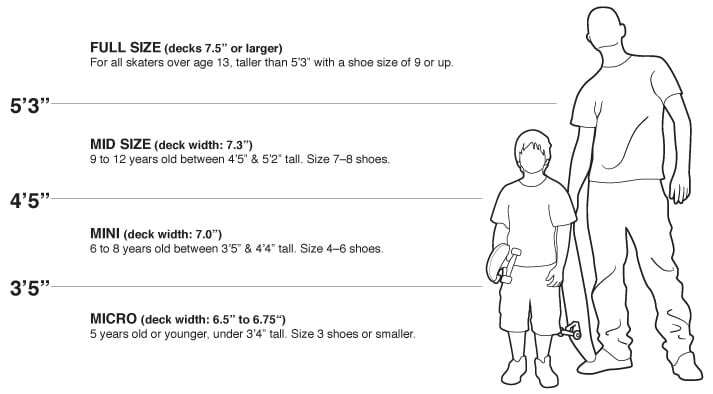 Most children between eight and 12 years of age will need a small size, which is 7.3 x 29 inches. A mini skateboard is designed for children between six and eight years of age, and it is seven inches wide and 28 inches in length. There are also micro decks available for children under five years of age that range in size from 6.5 x 27.2 inches to 6.75 x 27.6 inches. These smaller boards can be found at any store that sells skateboards, including online options such as Amazon. 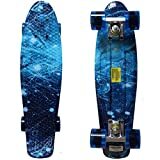 In fact, if your child is new to skating and you want a lightweight board that is easy to maneuver, this is a great way to find a skateboard that matches their needs. A beginner skateboard has to fit the age and needs of the rider, which is why you should seek out a beginner skateboard for adult or teen differently than you would for a child. A teen or adult skateboard can be used for short trips, for excursions to the skate park, or for just speeding along casually. 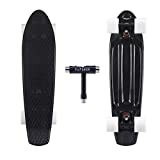 Finding one of these online is relatively easy, just make sure that the skateboard fits when it comes to weight capacity so that you know that it will accommodate the rider. 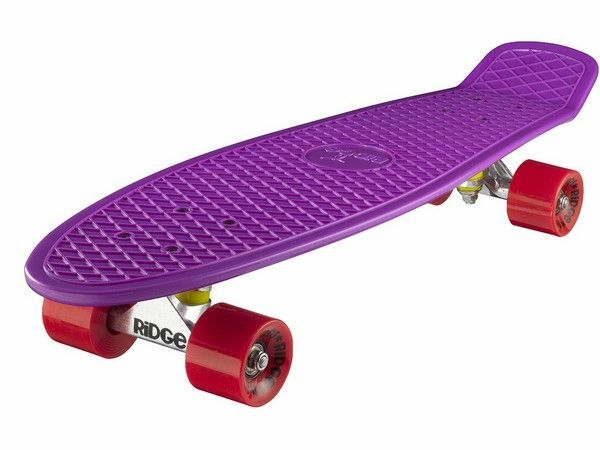 Many new riders opt for a penny board like some of the ones featured in our skateboard guide. 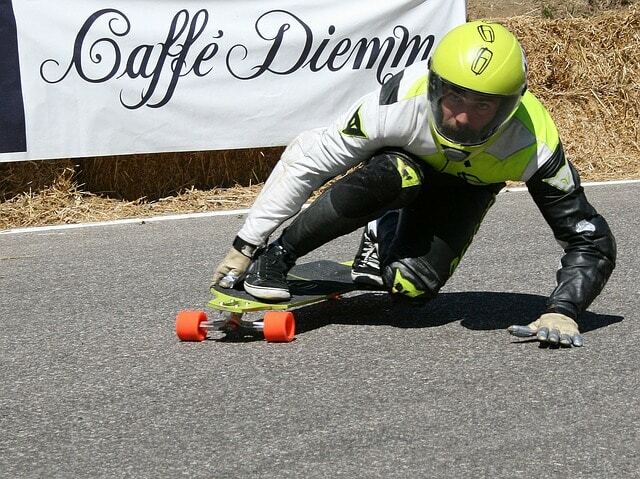 Penny boards are lightweight, usually made of durable plastic, and can provide a good amount of speed. 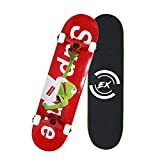 These boards are also inexpensive, which is perfect for a beginner that's looking to learn how to skateboard. 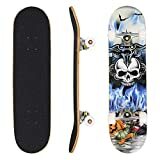 With sites like Amazon out there, you can typically find thousands of skateboards to choose from if you're shopping for a teenager or yourself. Also, you can find variants like motorized skateboards, boards with kicktails for tricks, and boards with smaller wheels for fast acceleration. Additionally, boarding specialty shops exist out there, but finding options out online will typically be a much quicker process. As an adult, you'll typically have a wide array of options when it comes to getting to and from work, but for the most part, these methods include the emission of greenhouse gasses into the atmosphere. For this reason, many commuters are looking where to buy a skateboard for beginners that's good for a morning commute. Fortunately, longboards are becoming more popular among beginner skaters because of their decent speeds, stability, and easy to learn styling. Longboards, as the name suggests are longer-bodied skateboards that are designed to work for long distances. Because of their long decks, the ride is usually much more stable, and the wheels are slightly larger so that the longboard can better manage irregularities in the pavement. Longboards are designed for the long haul, which makes them the perfect commuter vehicle; you can even get to work in fairly short order, especially considering that longboards are excellent for downhill riding. When it comes to buying locations, online sites such as Amazon have a wide variety of choices for a beginner skateboarder. 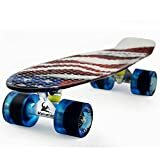 In addition to this site, specialty shops can also work well for beginners that want to try out the look and feel of a longboard. We hope that our guide on where to buy a skateboard for beginners has provided you with an idea on where to get your new skateboard; there are a lot of resources out there, so check some out so that you can experience some skateboarding fun. 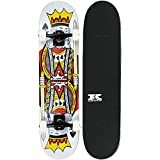 【Suitable for All Level Skaters】 31 x 8 inch full size double kick concave design with vintage pattern provides better control and easy to brake; this Skateboard is ideal for Beginner and Pro doing some basic stunts and other tricks. 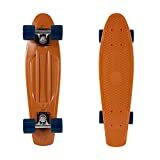 【Durable & Stable】High density 8 layer maple wood skateboard with emery non-slip surface provides a stable and more powerful grip during skating; Max supporting weight 220 lbs(100KG), suitable for adults and kids. 【SMOOTH】Super smooth 50mm anti-shock PU wheels with ABEC-7 precision bearings and PU bushings deliver a very smooth ride, this Longboard is suitable for all smooth surfaces or even rough ground. 【STRENGTH】Our Skate Board made of High Quality Thick Aluminium Trucks and steel axle, which supports higher weight and faster speed for more safe ride. 【COMPLETE】No assembly required, this Cruiser Skateboard is a ideal gift for boys and girls. Premium Metal Bearings - MoBoard Wheels are crafted with stronger metal bearings ensuring they last with heavy daily use. Interchangeable Wheel Sets - Add a personal style or look to your board with a wide range of amazing skateboard wheels that swap out easily with our tool sets. Additional Skateboard Accessories - Check our other listings to find additional wheels, trucks, gear and tool sets to keep your board running smoothly.